After the Diwali this year, most of the Delhi people have started thinking of the possible solution to protect them from Air Pollution. So Atlanta Healthcare has launched its Air Pollution Masks that not just offer protection but matches your fashion. Atlanta Healthcare N99 Cambridge Mask is not just another mask available in a market. It gives protection against dust pollution up to the level of 0.3 microns, gas pollution, nearly 100% of viruses and bacteria. So, why to use those cheap masks which are just on your face with no protection offering. 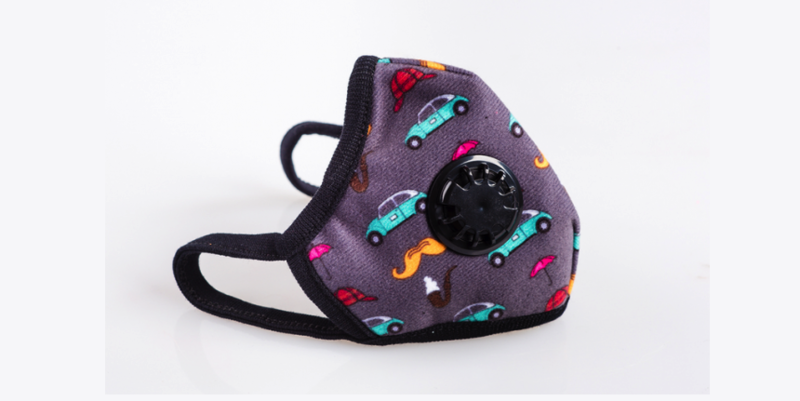 These N99 Anti-Pollution Masks by Atlanta Healthcare come with 3 layers of protection. The first layer is a filter designed to filter larger particles such as dust and PM10. It is the outer layer which comes in different designs. The second layer is ‘Three-Ply Micro Particulate Layer’ that blocks particulate pollution such as PM2.5. It also blocks particles which are as small as PM0.3. The last layer the most important. It is Military Grade Carbon Layer made from a 100% pure activated carbon cloth invented by UK Ministry of Defence and comprises of a series of activated carbon filaments. With all these things, this Air Pollution Mask provide 99.77% protection against bacteria, 99.6% protection against viruses. If is designed to work for up to 340 hours and expected to expire after four years. The best thing is that these are available in different sizes. So, you can choose depending on your own face size. There are also three variants: No Valve (low physical activity), 1 Valve (mild physical activity) and 2 valves (for people engaged in strenuous activities like running, bicycling, walking etc.). So buy as per your need. These gas masks are available from Amazon India.The masks are priced at Rs. 1799 (for no valve), Rs. 1999 (for 1 valve) and Rs. 2199 (for 2 valves). Not just these masks, the company also has its Air Purifiers and more related products in the market.